My brother and I have a surveying company in the USA, Hot Springs Arkansas. We’ve been incorporating a Drone into our surveys where possible for a little over a year now. (Yuneec Typhoon H to be more specific) We’ve had good results, but have been wanting to take this to the next level, RTK. We began with to reach units and set up a Base and Rover, next we set up the Base to broadcast corrections using NTRIP and our Rover to receive corrections over the internet. While the accuracy never got close to the original Base/Rover setup,- we felt like with a little “tuning” the system would work. 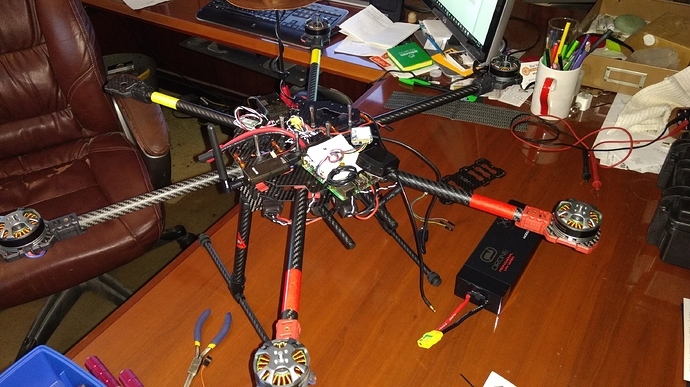 Next step was to mount our system on a UAV. I Will post updates as available.